For all your Honda lease and financing needs near Queens, Manhattan and beyond, come down to Plaza Honda in Brooklyn, NY. Our finance department staff is ready to help you get all your Honda financing questions answered. If you are buying a new Honda, our team will help you get the financing loan terms that work best with your budget and will not break your bank account. Car buyers combing the market for a certified pre-owned (CPO) Honda can also find outstanding auto loans here at Plaza Honda. Our finance team can even help you with used car loans, as well as search for financing options for drivers will less than perfect credit scores. Find your next car and apply for auto financing at Plaza Honda today! Plaza Honda offers top-notch loans for all new and certified pre-owned Honda models on our lot. 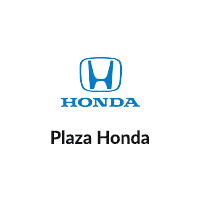 If you would rather lease a new Honda, there is no better place to go than Plaza Honda. Our lease specialists are available to guide you at every step when you are planning on leasing a Honda. If you love that new-Honda smell, you will love the affordability and convenience of a smart Honda lease from Plaza Honda.